The fall of discs and physical media has been going on for a while now, with new digital mediums emerging. Netflix is establishing itself as a serious content producer with exclusive shows like Orange is the New Black and House of Cards, with more on the way like Daredevil and The Defenders. The recent announcement that the Crouching Tiger, Hidden Dragon will release on Netflix and theaters in IMAX at the same time. That notion has movie theater chains up in arms, most of them denying to show it on their screens. But why? The answer to that is they’re trying to make a point. A few years ago, Comcast and Universal planned to release Tower Heist On-Demand only a few weeks after it’s release for a very hefty price. After hearing that, movie theaters threatened to take it off screen, and for good reason. It’s no secret that most people would rather stay at home rather than go to the theater, mostly because of convenience. While cinemas are a much better way to watch a movie, it is a little bit more of a hassle. Once again we see movie theaters reacting to changes inside the digital landscape of movies. This time, it’s against a release that’s a lot more accessible. I guarantee you that more people would watch this on Netflix than pay around $50 for it On Demand. It has not been disclosed how much Netflix paid for this movie, but it’s most likely quite a bit. The original movie made a little over $200 million at the box office, and the price for the sequel is probably a little more. So, why then is Netflix buying the basically exclusive rights to it if it costs so much? There’s probably not going to be a lot of people getting a new Netflix account just to watch the sequel to Crouching Tiger, Hidden Dragon. In fact, this news is the first I’ve actually heard of plans for the sequel. Netflix is not intending to draw people in with it, but they are intending for this to be the first of many exclusive Netflix releases of films. 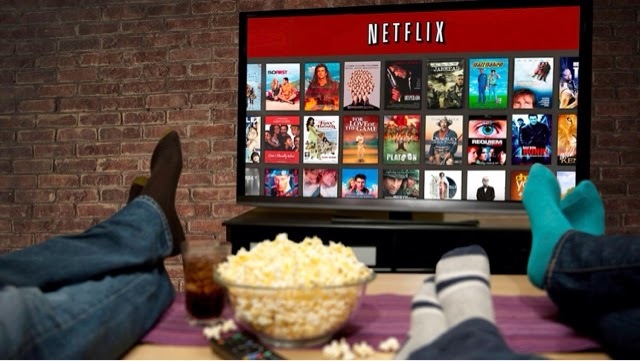 Netflix has proved itself as a viable entertainment platform, although I much prefer watching a movie in the theaters or on Blu-ray. While those probably provide better watching experiences, they are considered a premium experience while Netflix is not. The rise of digital platforms does not mean the death of theaters or Blu-rays. It just means the changing of those two. Movie theaters aren’t going to run out of business very soon, but they are going to have to downsize a little bit to stay profitable. There’s always going to be an audience for a movie in theaters, no matter how small. The entertainment industry has yet to find a good balance between the two, but hopefully they do and soon.